MRWA has assembled a staff of professionals who bring extensive experience to bear in managing the Association’s programs. The staff and MRWA’s Board of Directors are dedicated to assisting water and wastewater systems throughout the state in providing quality water to all Missourians. You may email these staff members by simply clicking on their emails below or call their listed phone number. The executive staff and office staff are responsible for the administration and daily operation of the association. With a penchant for customer service and a passion as huge as the cosmos, Randy will be happy to help you in any way. Randy has been in the water industry for over a quarter of a century and it is his joy to make your day better. Call or email anytime. Contact Crystal with questions MRWA billing or accounting. Crystal Cooper, Office Manager, has been with MRWA since 1999. She coordinates the day to day operations of the office in Ashland, oversees financial accounting and maintenance of records. Contact Saem regarding system, individual, or associate membership. Saem has been with MRWA since 2006. As Member Services Secretary, she is responsible for tracking and updating the member database as well as the Resource Directory. Saem is also involved with conference preparations, bookkeeping, and federal program reporting. Contact Maggie regarding training registrations or flyer information. Maggie has been with MRWA since 2013. As Training Secretary, she is responsible for tracking and updating training class and conference registrations, training information and flyers, and is your first point of contact for on-line training issues. Drinking Water Circuit Riders provide on-site technical assistance to publicly-owned drinking water systems. The TMF Circuit Rider and the Small System Circuit Rider provide on-site technical assistance with Technical Managerial and Financial needs including compliance issues to all systems including small drinking water systems that tend to be privately owned, such as mobile home parks, subdivisions, and businesses. The Management Circuit Riders provide training and on-site technical assistance to decision makers, managers, and office professionals. Before joining MRWA in August of 1989, Billy spent five years with the City of Hollister, Missouri, where he was maintenance superintendent. 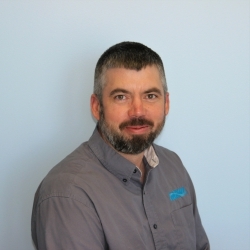 Billy has completed a number of training courses on such topics as submersible motors, wiring and electricity, supervision, and leak and pipe location. In 2002, Billy was selected by his peers nationally as “Circuit Rider of the Year.” Contact Billy with any question regarding drinking water. Contact Joe with any question regarding drinking water. Joe Anstine joined the MRWA Staff in December 2002. Prior to joining MRWA Joe was the Superintendent for the City of Leeton where he attended the daily operations of the water and wastewater systems. Joe holds a Class A water certification, a Class D wastewater certification, and a DS III distribution certificate. Joe was Chief Operator for the City of Leeton in 1997 when the system received Water System of the Year from MRWA. In 2000, Joe was named Wastewater Operator of the Year by MRWA and in 2001 Joe was named Water Operator of the Year for the Northwest section of the Missouri Water and Wastewater Conference. Contact Brad with any question regarding drinking water. Brad Rayburn, MRWA’s Special Projects Circuit Rider, joined the staff of MRWA in October, 2009. Prior to his employment, Brad served as Water Superintendent with Wayne and Butler County PWSD #4 for 5 years. Brad also worked for the City of Gideon and Butler County PWSD #3. In 2009, Brad was named the Young Water Professional of the Year by the Missouri Water and Waste Conference. Brad has a BA in Organizational management from Hannibal LaGrange College and an Associates of Arts degree from Three Rivers Community College. Brad holds a Class “C” water treament and DS-III water distribution certifications. Mark’s career in water and wastewater began in Hays, KS in 1978. Over the last 4 decades, his experience has yielded water and wastewater certifications in both Kansas and Missouri. 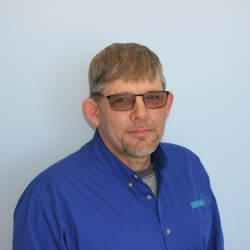 Not only does his work history include water treatment plants and wastewater treatment plants, but Mark also has years of experience in the Missouri Department of Natural Resources as a Water Specialist in the Kansas City Regional Office and with Operator Certification. As MRWA’s Energy Efficiency Circuit Rider, contact Mark to request an energy audit or with questions involving energy conservation measures for your system. Contact Liz with any question of a managerial nature including decision makers, clerks and office professionals. Liz is also the contact regarding the Certified Office Professional Program. Liz has a BA in Political Science from Truman State University and an MBA degree from Quincy University. She holds a class “A” water treatment license and a DS III Distribution license. 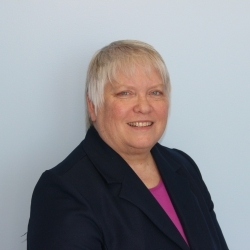 She is currently chair of the Missouri Safe Drinking Water Commission and the national director for the Missouri Section AWWA. Liz and her husband, Jeff, have three sons and live near Monroe City, Missouri. In her spare time, she teaches a GED class in Monroe City and raises a large vegetable garden every summer. Jim joined the staff of MRWA in January of 2004. Prior to his employment with MRWA, Jim served as Water Superintendent and Chief Operator with the City of St. Robert. Jim was also employed by the City of Crocker water/wastewater department. Contact Jim with questions pertinent to small systems..
Wastewater Technicians provide on-site technical assistance, and some limited amount of classroom training, for publicly-owned wastewater systems. Please click to e-mail or call their cell phone number. 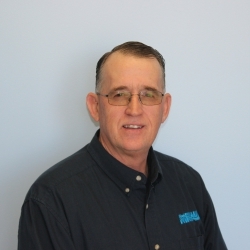 Contact Gary with any question regarding wastewater issues. Gary Webber, MRWA’s Wastewater Technician, joined the staff of MRWA in March of 2003. Gary was previously employed by the City of Unionville since June of 1983. He currently holds an “A” level Water Operator Certification, “A” level Wastewater Certification, and a “DSIII” Distribution Certification. Gary is also a graduate of the National Rural Waters Water University Study Course. Gary has previously been honored as “Water Operator of the Year” from both the Northeast Region of the Missouri Water and Wastewater Conference and the Missouri Rural Water Association. Since March of 2003 Gary has worked in MRWA’s Sourcewater Protection, Water Training, and Wastewater Technical Assistance Programs. He has conducted training classes for operators and provides on-site assistance to water and wastewater utilities across Missouri. Contact Donald with any question regarding wastewater issues. MRWA’s Wastewater Technician, Donald Jones, joined the staff of MRWA in Febrary of 2015. Prior to being employed by MRWA Donald was employed by the Department of Natural Resources as a Water Specialist III in the South East Regional Office. While with DNR, Donald did technical assistance, performed operator certification training, and helped facilities with all different types of compliance issues. Prior to working with the Department of Natural Resources, Donald began his career in the water industry in December 2000 while employed by the City of Caruthersville. While working for the City, Donald acquired an “A” level Wastewater Certification, a “B” level Water Certification and a “DS III” Distribution Certification. Donald has worked in every aspect of the water and wastewater field. In 2009 Donald won the Kramer Award from MWWC SE Section. The technical and service staff are responsible for special services and projects. Please click to e-mail, or call MRWA at 800-232-6792, to discuss any mapping, training, or special service project needs that you may have. 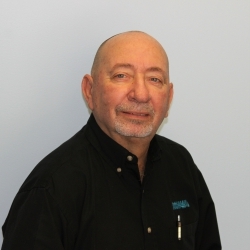 Prior to joining MRWA, Jim served as Chief Operator and Manager of Ripley County PWSD #1, holding Class “D” drinking water treatment, “DS-III” drinking water distribution certification and a “D” Wastewater. Jim has spent ten years as a water district board member and has legislative visits to Washington, D.C. with MRWA and has US Dept. of Homeland Security Cyber Security Training. As the MRWA Apprenticeship Coordinator, contact Jim with questions on the MRWA Apprenticeship Program either as an apprentice or as a system wanting to hire an apprentice. Contact Tom with any question regarding certification of operators in Missouri or management issues. MRWA Water Training Specialist, Tom Hyatt, holds an “A” level water treatment certificate, a “DS III” level distribution certificate and a “D” wastewater certificate. He spent several years working at and managing the surface water treatment plant in Fredericktown, Missouri, where he left the position of water superintendent August 1, 2003, to join the staff of MRWA as Water Training Specialist and, later, Project Officer. Tom’s educational background is in English Literature and Mass Media. Prior to his work in the drinking water sector, he served as journalist and broadcaster in the U. S. Navy, followed by a three-and-a-half-year stint as a radio announcer in Fredericktown. Eric has a background in agriculture with an emphasis in soils. Eric also serves as MRWA’s Emergency Response Coordinator and is here to serve emergencies big and small. Whether it be a lake, reservoir, or well, contact Eric with questions regarding protecting your water source. 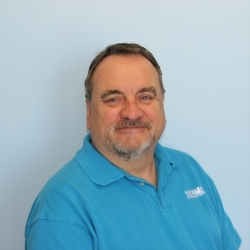 Contact Howard with any question regarding geographical information mapping of your system. Howard joined the MRWA staff in June, 2009. His 26 years of experience include 16 years as the water and wastewater superintendent for Johnson County PWSD #3. He has also worked for Johnson County PWSD #2, the City of Lawton, Oklahoma wastewater treatment plant, and served in the U.S. Air Force as an Environmental Support Specialist at Whiteman Air Force Base. Howard holds a Class A drinking water treatment and DS-III drinking water distribution certification, plus a Class A wastewater certification.